To support customers in immediately making an impact on the metrics that matter the most (increasing efficiencies, reducing complexity / costs, increasing revenues, and most importantly increasing customer satisfaction), SOPRIS has defined an advanced set of solutions targeting business problems within the areas of Service Assurance and end-user experience. SOPRIS leverages its deep Software, IT networking and telecommunications expertise and it’s proven delivery skills, along with the rich set of capabilities brought by a very complete and innovative ecosystem of leading partner solutions. Partnering with Zenoss, the premier unified monitoring and analytics platform, SOPRIS offers a comprehensive Professional Services Practice that addresses the end to end needs around infrastructure monitoring. The transformational and high return-on-investment potential of SOPRIS’ end-to-end Zenoss based solution offers a long list of benefits to operations aiming to automate and increase efficiencies as well as to the commercial teams seeking to grow and generate new revenues. SOPRIS’ Zenoss certified practice handles one of the broadest range of services around Zenoss offered in the market e.g. including acquisition of Zenoss software, deployment, and customized integration. Additionally, SOPRIS offers advanced services such as development of complex ZenPacks e.g. 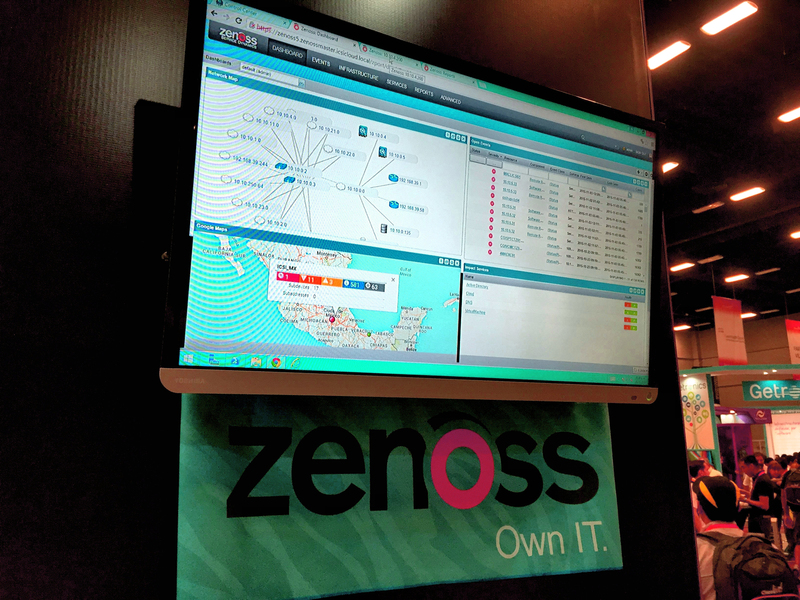 for monitoring of telco network elements, as well as on-site customized Zenoss training (English, Spanish). The SOPRIS Zenoss practice is the go-to, one-stop shop for Zenoss solution needs across the Americas, with a footprint and resources placed across Latin America. To extend service monitoring into the Application environment, SOPRIS, in partnership with Dynatrace, offers a comprehensive solution that addresses the complete range of needs around Application monitoring. By leveraging Dynatrace’s leading portfolio and our capabilities, SOPRIS customers are able to extend monitoring to every user, to every application, everywhere, in a synergistic solution that also takes into account, in an integrated approach, the events that impact service within the infrastructure and other layers. SOPRIS offers a comprehensive solution to monitor, end-to-end, the Quality of Service experience delivered to End-Users consuming Video Services. Powered by the innovative Conviva solution, our solution measures service quality where it matters most – at the user-devices as users consume video services. If any element or any action across the entire video delivery chain has not rightly executed the function it is expected to perform, our solution detects that something failed and will know where the failure occurred e.g. during video encoding, at the CDN, along the the transport or access networks, or even within the end-users own home environment or devices. Our software development team is certified and ready to undertake the software design required to prepare end-user devices (e.g. iOS, Android, Web/HTML5, set-top boxes) to be integrated and deployed for this solution. By leveraging its Video, Infrastructure and Application service assurance solutions, SOPRIS has developed a set of capabilities that help network operators (Fixed and Mobile) to optimize their network’s performance (which will prove very valuable to engineering, operations, customer care, marketing and other teams) by fully linking network performance to the experience delivered to the end-user. These capabilities help network operators to extend the visibility of the networks all the way to the end-user device. For example, fixed service operators are generally unable to understand performance beyond the residential gateway, leaving them “blind” to the service performance inside the residential homes, where often 70-90% of service issues occur. Yet, end-users do not understand nor discriminate such boundaries when taking their poor service frustrations to customer care teams. Undertaking the migration from the existing operations to the target operation of the advanced solutions noted above is a transformational journey and requires support in a number of processes and people capabilities/change management to undertake the transformation and obtain the targeted business outcomes. SOPRIS has a deep belief that such capabilities can often make or break a transformation program and has created this solution to help customers ensure success in achieving their target business outcomes. For example, if a customer intends to pursue a new revenue stream such as monitoring as a service, yet requires a trained team to operate the new monitoring as a service solution, SOPRIS can design, plan and staff these needs directly or through its managed service providers (MSP) partners. Another example is helping customers in terms of supporting and preparing existing operations teams to operate their new advanced solutions. Through SOPRIS University, SOPRIS delivers advanced training, which can be tailored to specific needs, and can augment existing staff with skilled resources to help facilitate the transition.